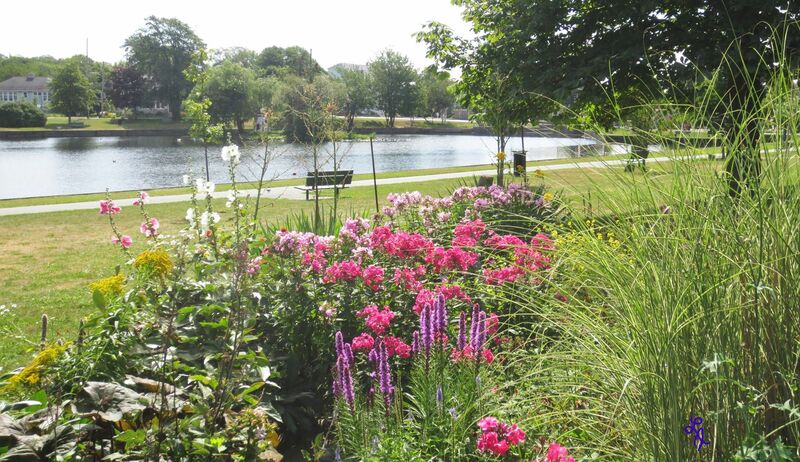 Officially, there are 23 lakes in Dartmouth. 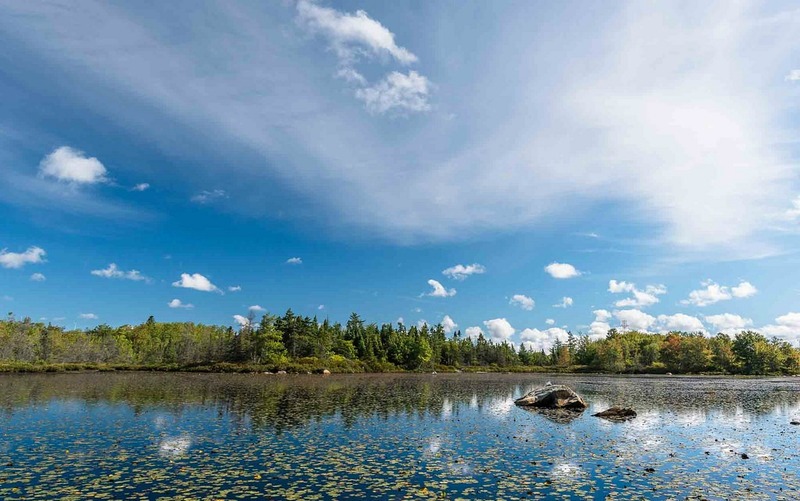 The Canadian Encyclopedia says there are 25 lakes and other sources say there are 26. No matter what the count, Dartmouth is well qualified as Canada’s “City of Lakes”. Supervised beaches (in July and August) can be found at Albro Lake, Birch Cove (Lake Banook), Penhorn Lake and Shubie Beach (Lake Charles). Suggested lake hikes are listed below. 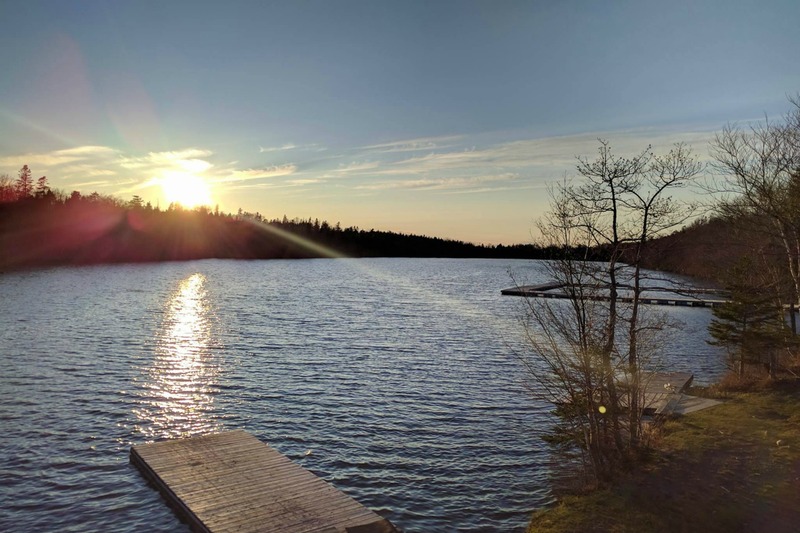 If you’re staying in Burnside or Dartmouth Crossing, then a simple, accessible walk can be found nearby at Spectacle Lake. 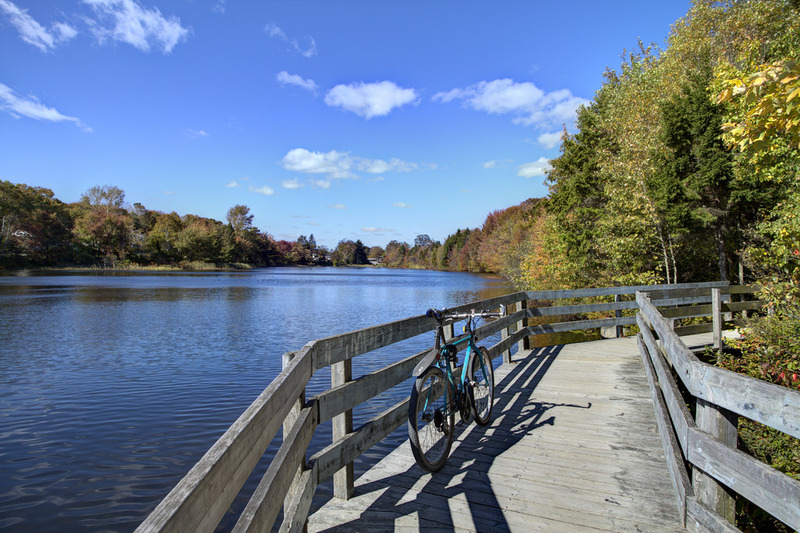 Lake Banook is a 2.8 km return hike from Graham's Grove or Nowlan St. parking lots. The lake is named for the Mi'kmaq phrase for "First Lake", as it is the first lake in the system that later became the Shubenacadie Canal. 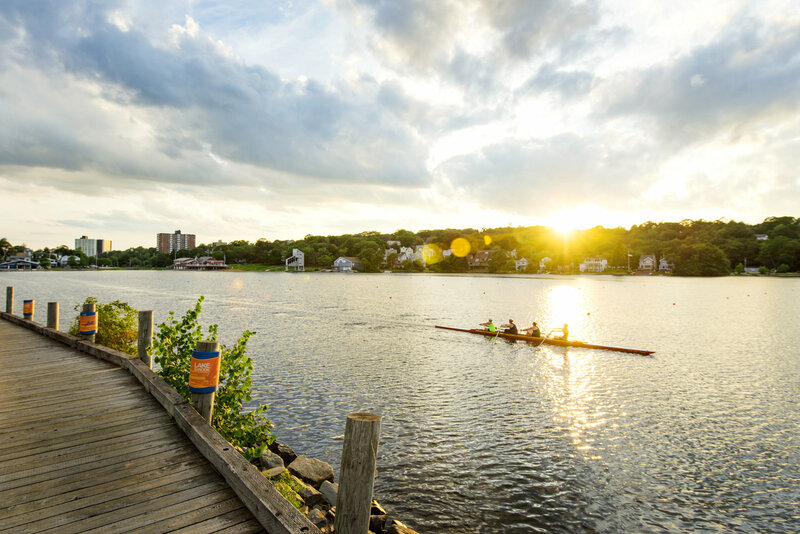 The Mi'kmaq people were the first to navigate the waters of Lake Banook, which contributed to the naming of Lake Micmac, Mic Mac Mall, and Mic Mac Amateur Aquatic Club (AAC). The first fully recorded hockey game in Canada was played on Oathill Lake in 1867. Oathill is a small, attractive lake situated between Maynard Lake, Lake Banook to the Northwest, and Penhorn Lake to the Northeast. It has a small boardwalk and crusher dust path connected via Beckfoot Drive, Mountain Ash Ct. and Lorne Avenue. 3.9 km from Baker Drive or Freshwater Drive to Morris Lake, return trip. It's 1.7 km from the Library or Superstore parking lot on Portland Estates Blvd. to Morris Lake, return trip. 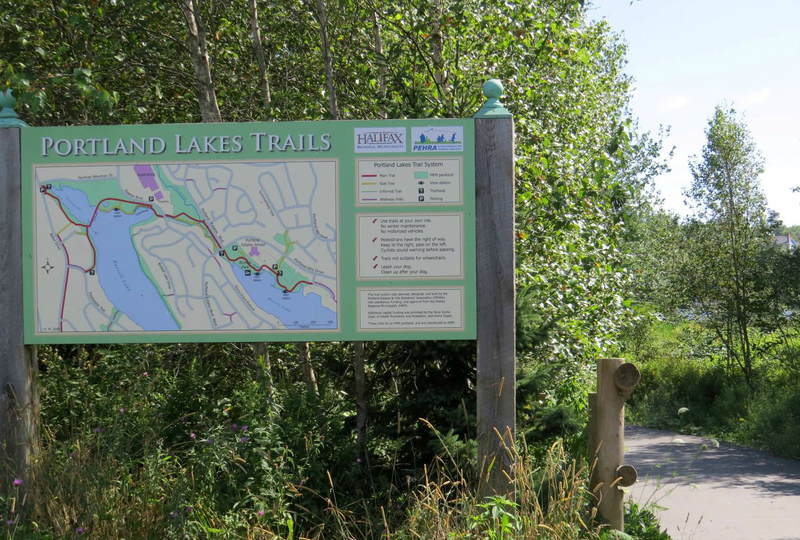 A suburban multi-purpose trail, with routes along streams and freshwater marshes. Sullivan’s Pond is located about 1 km from the Alderney Ferry Terminal or about 1.3 km from the Grahams Grove parking lot.